The year 2018 marks the 48th Anniversary of perennial classic-rock favorite, America. 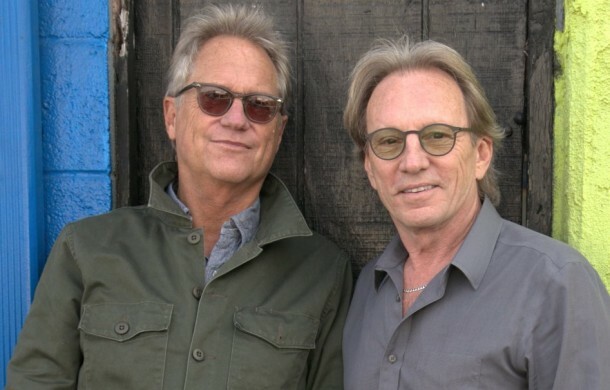 Founding members, Gerry Beckley and Dewey Bunnell (along with former band mate Dan Peek) met in high school in London in the late 1960s and quickly harmonized their way to the top of the charts on the strength of their signature song “A Horse With No Name.” America became a global household name and paved the way with an impressive string of hits following the success of their first #1 single. Forty plus years later, these friends are still making music together, touring the world and thrilling audiences with their timeless sound. We have learned of the passing of our dear friend and musical collaborator Sir George Martin, and it’s hard to express our sadness. He was a uniquely special man that we had the incredible honor and pleasure to create music with for many years in our early career. Such fond memories of the times we spent together recording all around the world. He loved the adventure of making music and consequently made each of the 7 album projects we did together unforgettable. From working in AIR Studios in London to his Caribbean studio in Montserrat, we made albums at the Record Plant in Sausalito California, the Caribou Ranch in Colorado, and even shipped recording equipment out to the island of Kauai in Hawaii for an extended stay to make one album! He was a mentor who guided the process of recording the songs we brought to the studio with a sensitive creative touch, always aware of the fragility of the ideas we were trying to express in a song. We are forever grateful for his guidance during that time in our career, and his continued friendship for over 40 years…we truly loved George. He has left an incredible body of work with so many artists including of course, virtually the entire Beatles catalogue, and his legacy is incomparable. We have all lost a truly special man who touched all of our lives. Our hearts go out to Lady Judy Martin and the rest of his beautiful family. Sir George Martin will never be forgotten.